As many of you know, my father, Chester W. Fisher, went "home" to heaven over 21 years ago on May 21st, 1992. He was dearly loved and now he is greatly missed. My Dad, a beloved father! 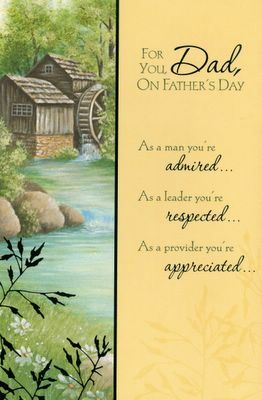 After dad went to be with the Lord it was difficult, when Father's Day rolled around, to walk past the card racks in stores that displayed cards for the special occasion. I realized that I "still" had a father, he had just gone on ahead and I will join him someday. So, I began buying my dad birthday cards and Father's Day cards. The sentiments I would share with dad, were he here, are written in the cards and then I date them and put them away in a drawer. It has been a very therapeutic exercise for me. I trust you've had a good day! God bless you and make you a blessing! This scholarship, created by the employees of Fisher Gage Inc. (now known as Fishercast), in Watertown, New York, was established to recognize a great leader. 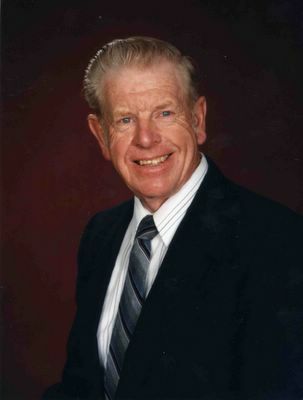 Jim Fisher said his father 'was a man who cared about people, life, family and the church. To know him was to know a gentleman. His influence was deeply felt.' This award, which was started in 1992, is given to a hard working, well-adjusted Jefferson Community College student in the second year of study. It is open to all students. Apprenticing as a tool and die maker, a tradition among the men of his family, he began work at Canadian General Electric in Peterborough. He worked for the company for many years and held several management positions. In 1955, Mr. Fisher and his brother, William F. Fisher, formed a partnership, establishing Fisher Gauge Limited in Peterborough, Canada. Chester W. Fisher died May 21, 1992.